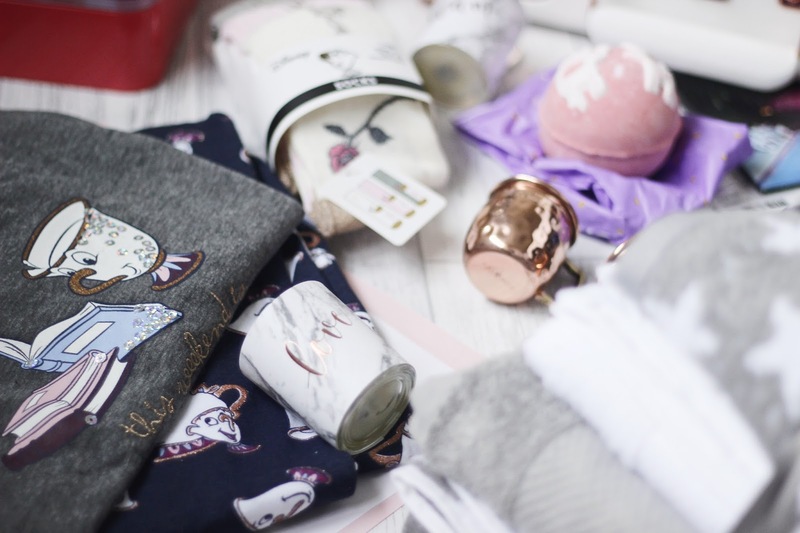 I appreciate the festive period is well and truly over and I'm a little late to the party; but with my blogging break, working solidly for the two weeks after Christmas and having a small mishap with my SD card, this is the first chance I've had to write this post. 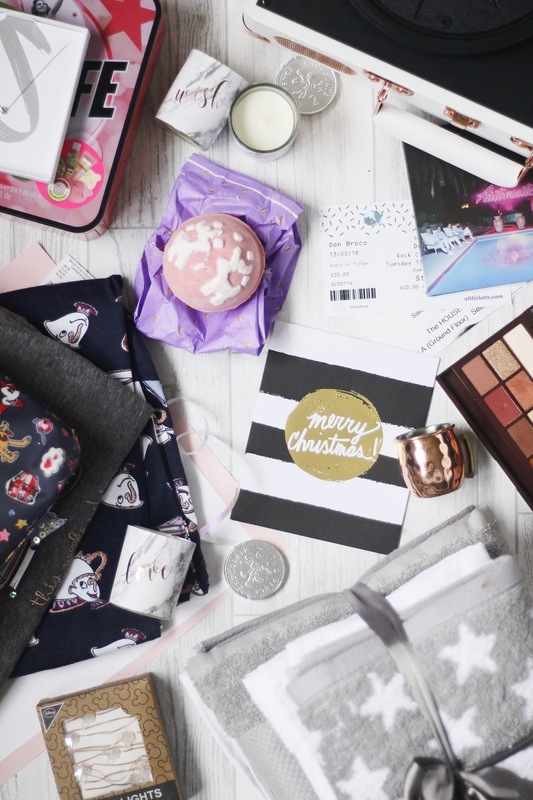 I wrote a more detailed post about how I spent Christmas and how I felt about celebrating this festive season (here) but I'm fortunate enough to have the most generous friends and family who all clearly know me better than I know myself, so I'm going to dive right in a share with you everything I received this year. ...a little disclaimer that I may forget little bits and pieces but I'm SO grateful for everything. 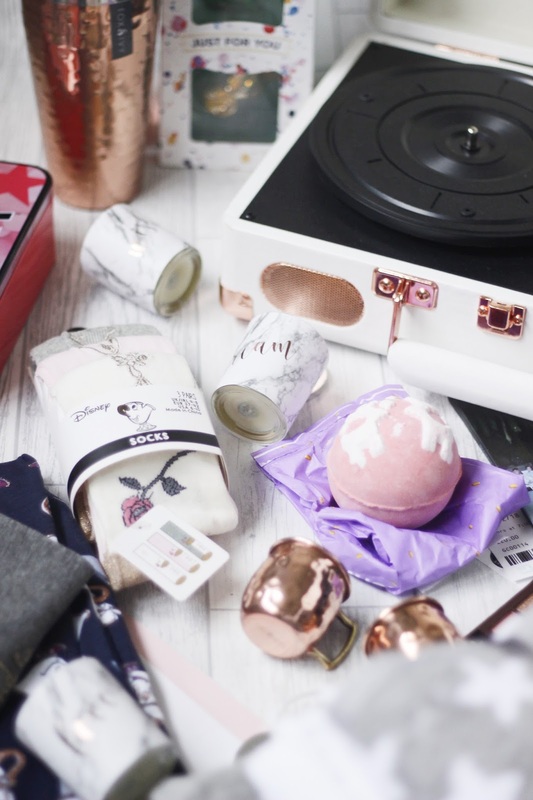 But if you gifted me anything that doesn't get a mention; it's not because I didn't like the present, its because I'm completely forgetful or bits have been opened and used up before this post was created so I didn't her round to taking any photos - oops, bad blogger over here. I was fortunate enough to be treated by my family this year; I never expect much from my family and this year I asked for almost nothing. 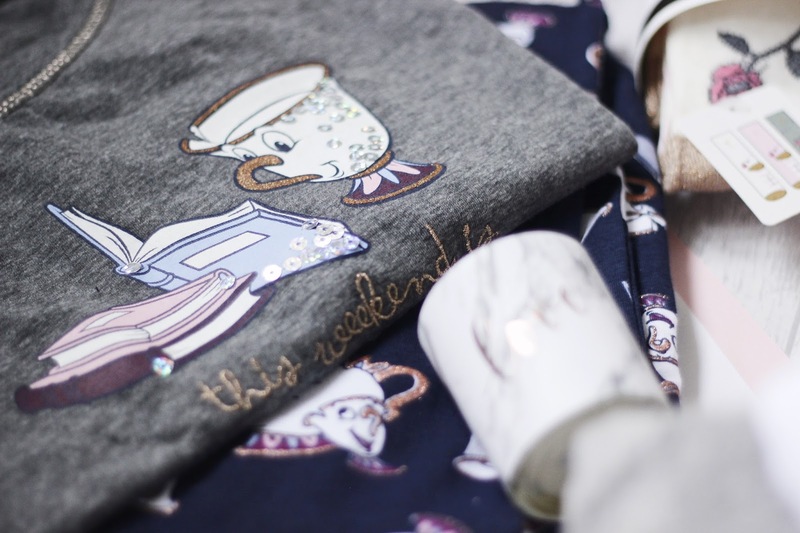 My parents had consistently asked me prior to Christmas about what I wanted and my only response was 'pyjamas' and I was fortunate enough to receive FOUR pairs of Disney pyjamas (of course). My mom actually got me a variety of pairs, shorts, trousers and vest tops, so I'm stocked up for the rest of the year now. 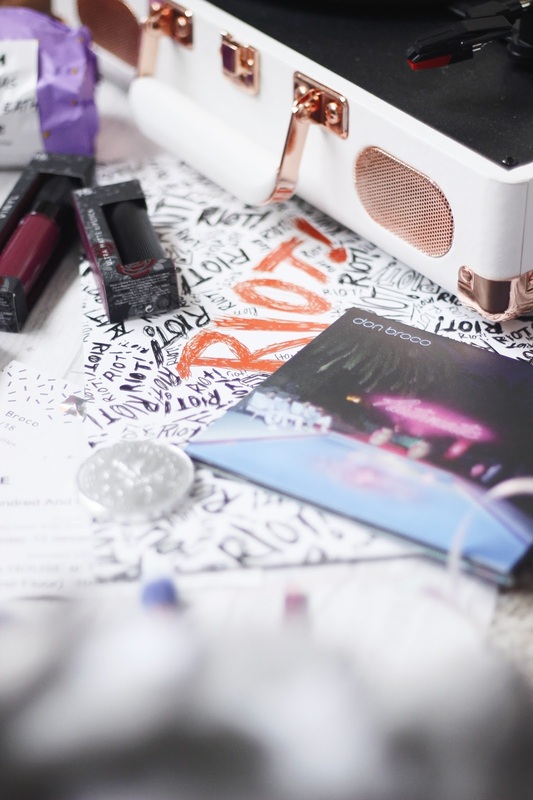 But what surprised me the most was my VINYL PLAYER I'd looked at purchasing the player for myself in the summer but held off due to funds, and I was more than surprised when I opened the box to my record players and CHRISTMAS, STEPS & PARAMORE Vinyls. Surprisingly enough myself and my best friend Laura booked tickets to Paramore for the middle of January so you can imagine my spotify playlist and this vinyl have been on repeat since! My nan and grandad were babes and treated me to MARC JACOBS DOT perfume; one of my favourites from a couple years ago and being as my last perfume was running out - this was perfect timing. They also treated me to some gorgeous grey and white towels with a star pattern (perfect for me and my blog ey). My Aunt and her fiancee treated me to a selection of DISNEY SOCKS and the baby pink Beauty & The Beast KNITTED JUMPER, which they got me oversized which will be perfect to wear on my lazy days. Christmas Day was spent with my whole family; My parents, grandparents and aunts and uncles and each year rather than Christmas presents we'll do a Secret Santa, which until this year had never been included, 24 qualifies me officially an adult in my family and I can join in on the fun. I'm still yet to figure out who got me gifts but I received a box of QUALITY STREETS, KOPPERBERG, VASELINE & NAIL POLISH all which have gone to good use. I'm always excited by the gifts I receive from my friends; excited and surprised. Not going to lie; I was treated like a princess this year. I exchanged presents with my best friend a couple days before Christmas however we like to open our presents on Christmas morning with our families. So you can guess how excited I was to rip open these gifts. 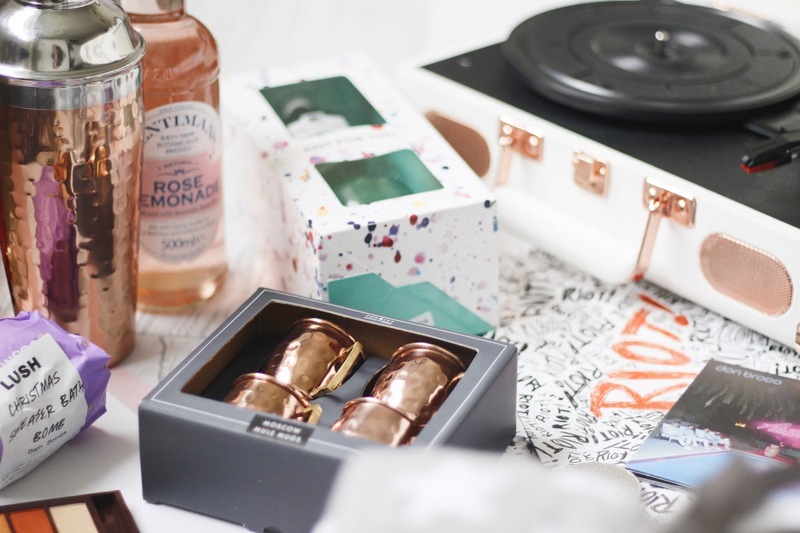 My best friend Charlotte treated me to some gorgeous COPPER COCKTAIL MAKING KIT some MULE MUGS and the essentials for GIN COCKTAILS. I'm yet to open any of these as I'm waiting for the perfect occasion to get mixing, but of my life. I'm in love with this set. Charlotte also treated me to the post beautiful WATERCOLOUR PRINT of the Disney castle, which took pride of place in my bedroom so naturally I forgot to include in my images. Thank you Charlotte, I love you. Naturally after opening Charlottes gifts I went straight for the girls from our friendship group. 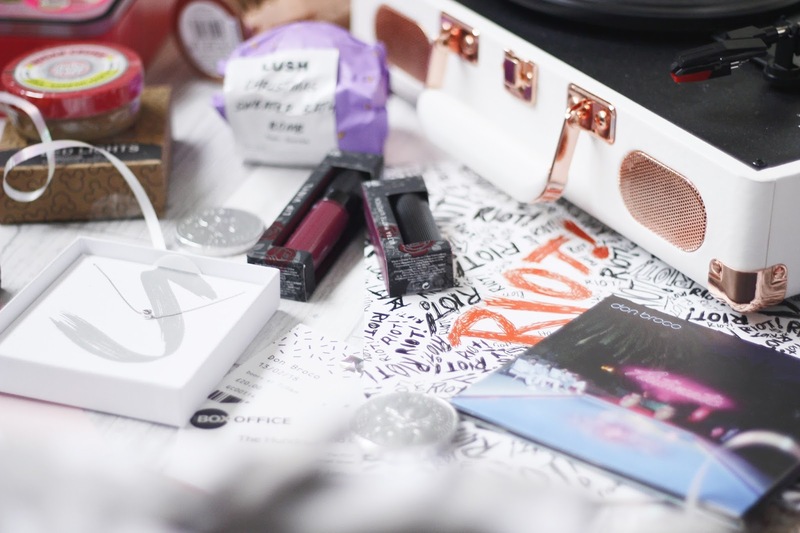 I received MAKEUP BRUSHES, a MAKEUP BAG, some beautiful gothic purple LIP PRODUCTS. A NOTEBOOK, some gorgeous MARBLE CANDLES (hello cliche blogger) a JENGA-LIKE DRINKING GAME and some JACK DANIELS. And my personal favourite SEQUIN MICKEY MOUSE BACK PACK. My best friend from university is the girl who completely understands my love for makeup and Disney - actually I think that's where I get it from. 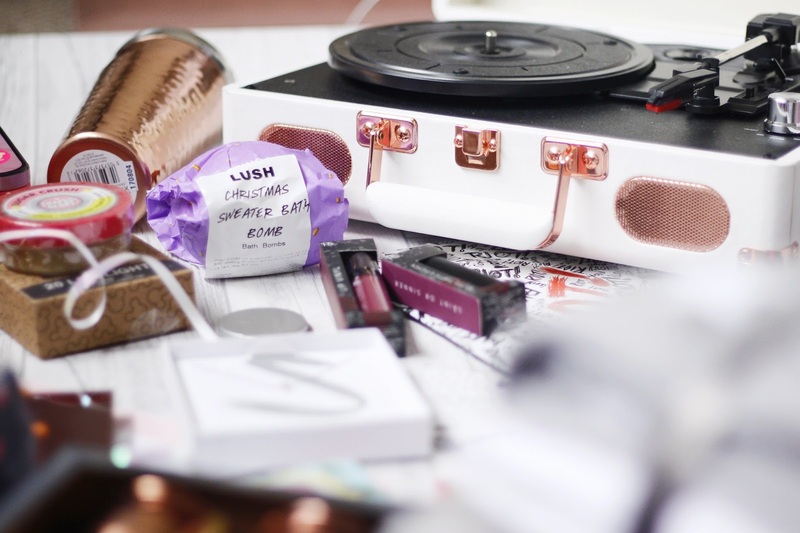 Ellie had my bubba nephew Fletcher in the months running up to Christmas, so obviously I didn't expect anything but this girl treated me to the most gorgeous CHOCOLATE ORANGE EYESHADOW PALETTE, DISNEY WIRE FAIRY LIGHTS and a LUSH BATH BOMB. After weeks and week of struggling to find times that suited three people I was lucky enough to spend Boxing Day with my two best friends. We lounged on the sofa in Laura's new house, ordered Chinese and had an over due catch up, oh yeah and we exchanged gifts. Friendmas was in full swing! Firstly from Sam I received a HUGE MINNIE MOUSE BAUBLE which will be going on my tree next year. She also booked us tickets for the theatre performance of 101 DALMATIONS AT THE REP in Birmingham, which we attended last Saturday. Over the last couple years I've fallen more and more in love with watching shows at the theatre; so you can imagine my excitement for this. The show had puppet dogs (which FYI the actors really brought them to life), during certain scenes it was interactive and the actors walked through the audience. We'll all laugh now at the slight mishap at the beginning and how I spent the first half of the show sat alone but honestly a perfect Christmas present. Sam on Boxing Day brought me to tears with my final gift; on my first Christmas with my ex he gave me a gorgeous heart necklace and for five years it became a comfort item for me, I'd play with it when bored, lonely or anxious and when our relationship ended I'd lost that. I'm lucky enough to have friends that notice the minor details about my life and Sam replaced my necklace with a 'S' NECKLACE and oh my life, even three weeks since I'm still a little sentimental about this moment. And finally my bits from Laura; first I got the most adorable pair of MINNIE MOUSE SLIPPERS they're slip on with a HUGE Minnie and a giant glittery bow...my housemates think I'm crazy walking around the house with them but I love them. 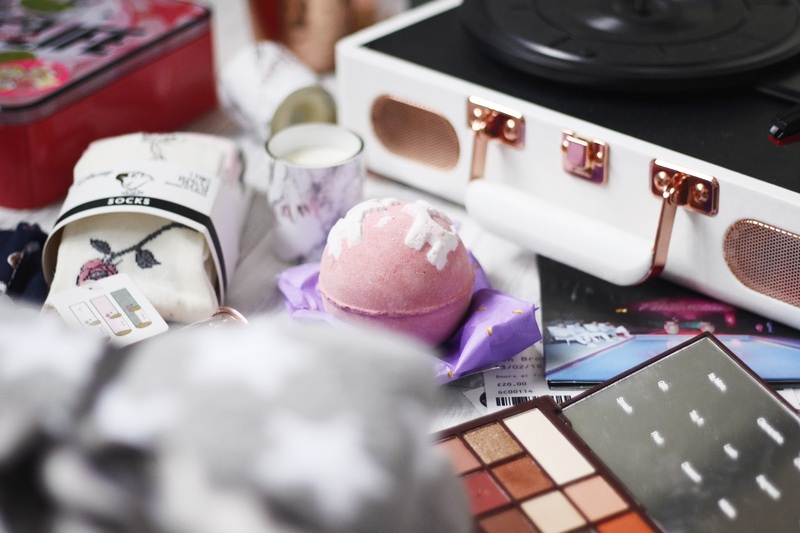 And keeping in with the Disney theme she also got me a DISNEY X CATH KIDSTON makeup bag, which is a navy blue bag with a holographic zip and all the original Disney characters and I'm sure you're not surprised to hear it instantly became my everyday makeup bag! She also got us tickets to see DON BROCO in February which I'm really excited for, we'd booked tickets to see Paramore just before Christmas too so you can imagine we've both been playing the two on repeat since Christmas. If you read my CHRISTMAS 2017 post you'd know how much I worried about Christmas, how I was worried about feeling lonely and generally not enjoying myself. Whilst those feelings were all very much present I'm so glad I can look back a realise how I have the kindest and most supportive friends who truly love me. And now I've finally written this post, I can rip into half the gift boxes which I've kept in as best condition as possible.